Engenuity Inc. introduces a smaller, lighter EZ Chart: EZ Chart Lite. EZ Chart Lite is a full featured BOP testing system that includes a Getac table and an USB and/or Bluetooth wireless transducer. EZ Chart Lite monitors the test pressure, via a proprietary algorithm, at a rate of 9 times a second to identify the precise moment a test meets a passing criterion. This creates an efficient and objective test period, eliminating the guess work that can be associated with standard hard to read, low resolution mechanical circle charts. The EZ Chart Lite stores critical test results into log files saved in both binary and CSV formats that are utilized for report generation in conjunction with EZ Build. EZ Build is a robust, intuitive BOP testing and reporting software sold separately from EZ Chart Lite. This software allows a technician to “build up” a BOP stack and associated manifold and valves in a graphical environment. The technician can the apply various test plans to the BOP stack ensuring an efficient and complete test of the BOP stack and associated manifold and valves. The reporting feature utilizes test results from EZ Chart Lite to produce a high quality, BSEE accepted report, including the entire BOP test as well as any offline testing of ancillary valves or manifolds. EZ Chart Lite is ideal for portable standalone applications, both onshore and offshore. 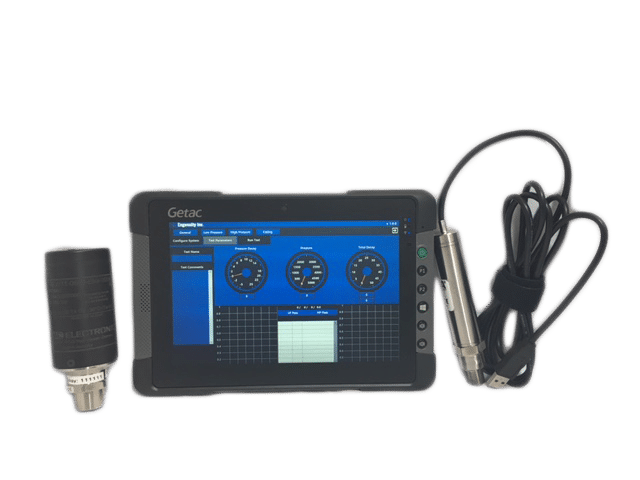 EZ Chart Lite can be deployed quickly and easily to most any hydrostatic pressure testing applications such as BOP testing, pipe testing, manifold testing, valve testing and pressure vessel testing. EZ Chart Lite improves the validity and repeatability of the test by utilizing objective pass fail algorithms. This is opposed to the subjective nature of a technician reading a circle chart. For more information on this solution or any other Engenuity Inc solutions please feel free to contact us.